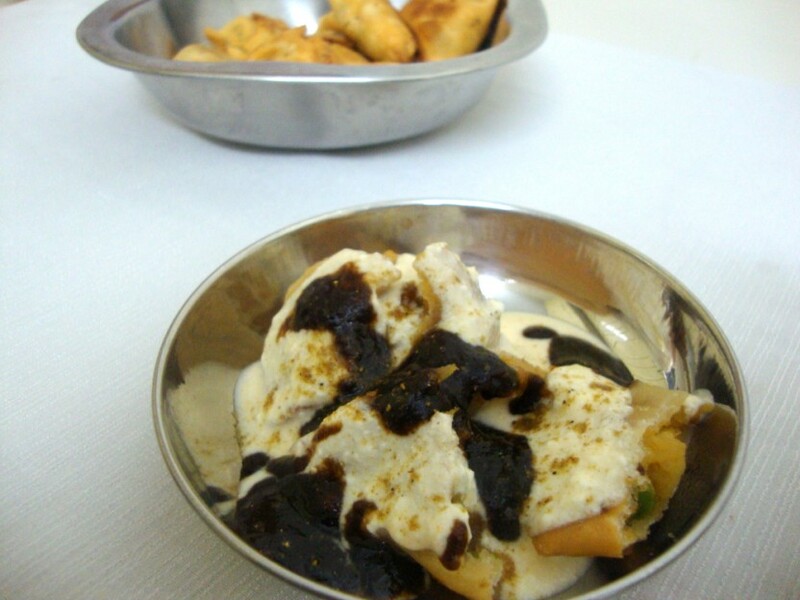 Third of the blogging marathon saw me planning to do another chat dish this time more interesting as I love Samosas. 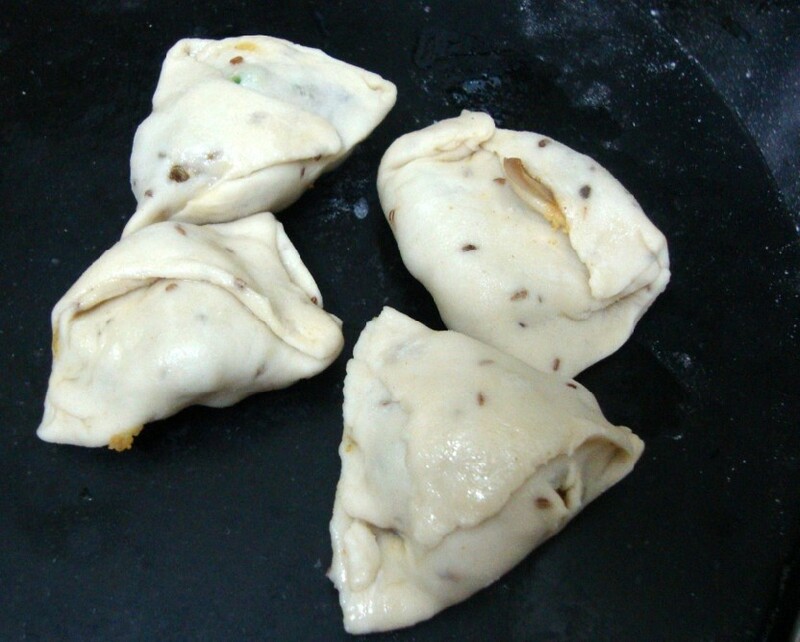 I had been planning to bake a samosa for a long time but never came around doing that. Getting back home, feeding the kids I decided I ought to do it right away. Unlike yesterday boys decided that I wasn’t going to make any chocolates so they were playing together not bothering me. 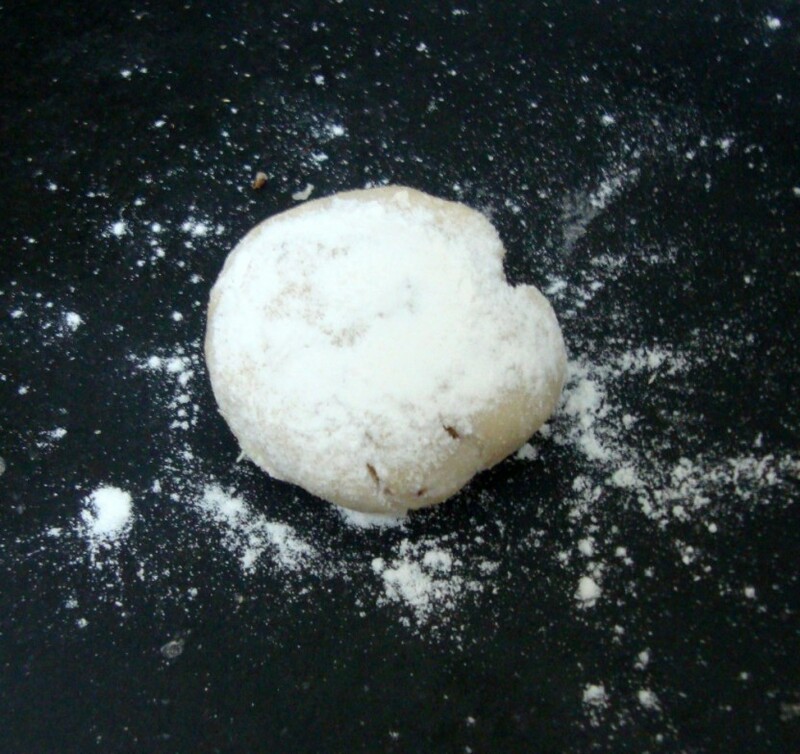 I made the dough such that it might get baked but unfortunately it didn’t have enough leavening for it to get baked as proper one. 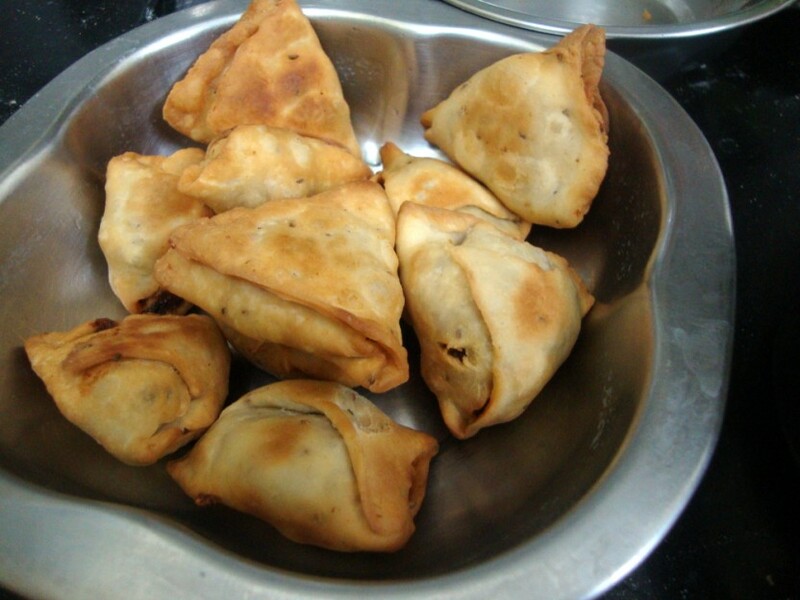 So ended up deep frying the Samosa for the chat. 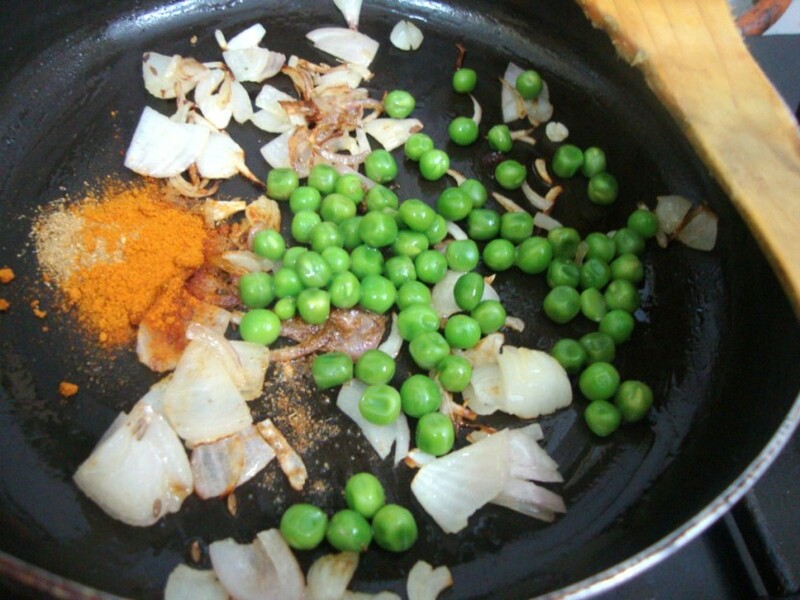 And I also ensured I kept the Chat Masala ready at hand not to forget in the final assembling. Hubby dear was most curious getting back from work seeing me busy doing something. He asked if everyday was going to be a chat day. Nodding my head I offered him a plate of Dahi Samoda Chat and before he could even swallow wanted to his verdict. I could gauge from his looks that this passed his approval. But wanted verbal confirmation. He said today’s chat really tasted like the chat walas. Yes that dash of Chat Masala ensured it give its taste! Konda loved it and saying she was enjoying the daily dose of Chats and wanted more, while boys were more than happy to finish off the sev they finally discovered the day. 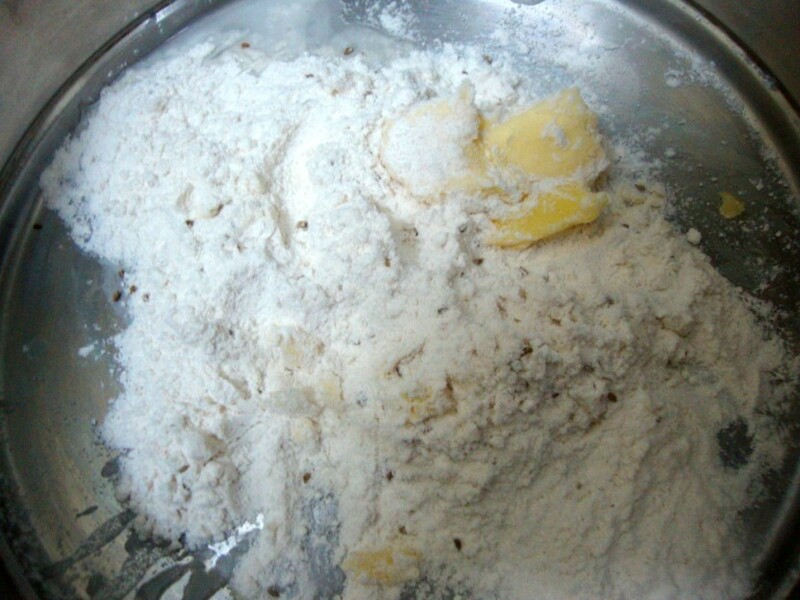 Take the ingredients for the dough in a bowl and knead to a stiff dough. 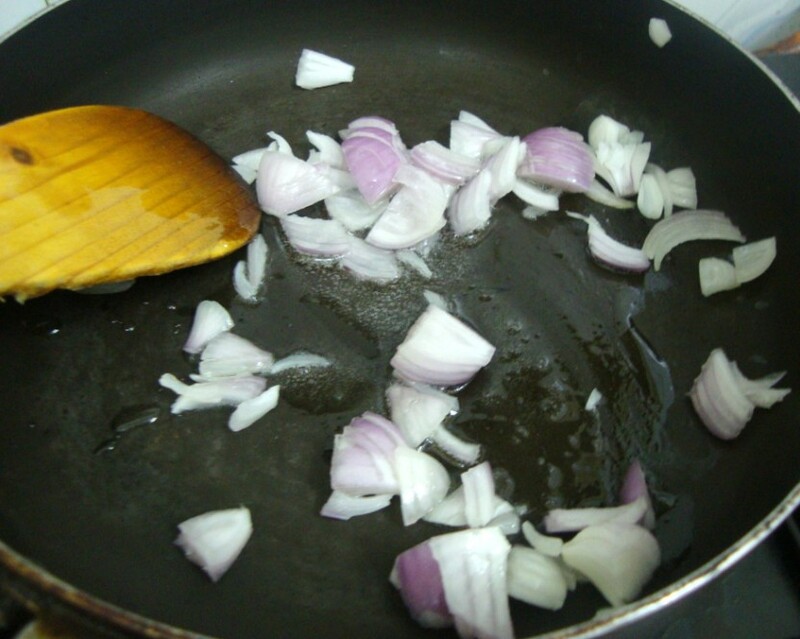 Heat a pan and saute onions. 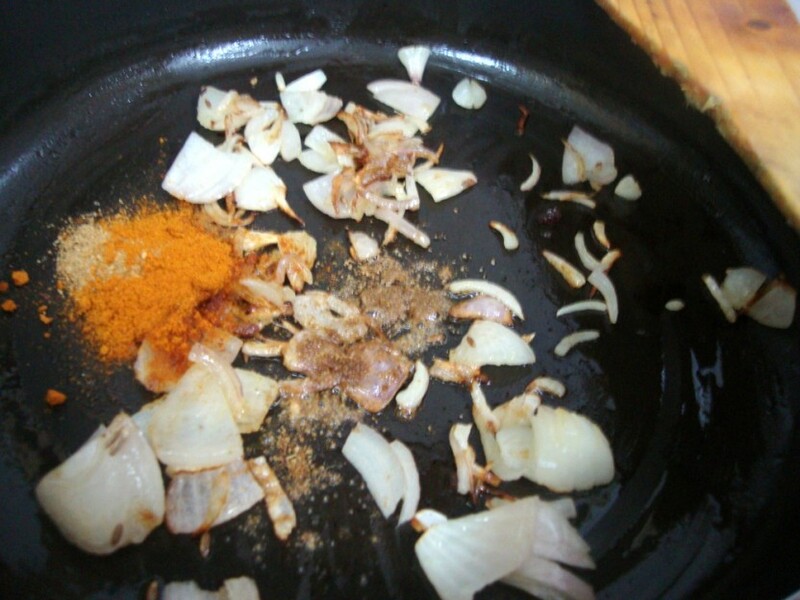 Add chili powder, coriander powder, roasted cumin powder, whole cumin, black salt and salt and saute in low flame. Finally the cooked potato. Combine everything well and simmer for 5 mins. Remove and cool. Mash everything together well. Make small balls and roll out like this. Make a cut in the middle, place the stuffing in the middle. Close it like you will do an envelope. Ensure to close on all sides. Greased ones that were supposed to be baked but got finally deep fried. Hung the Curds/ Yogurt and then beat it with sugar, chili powder. 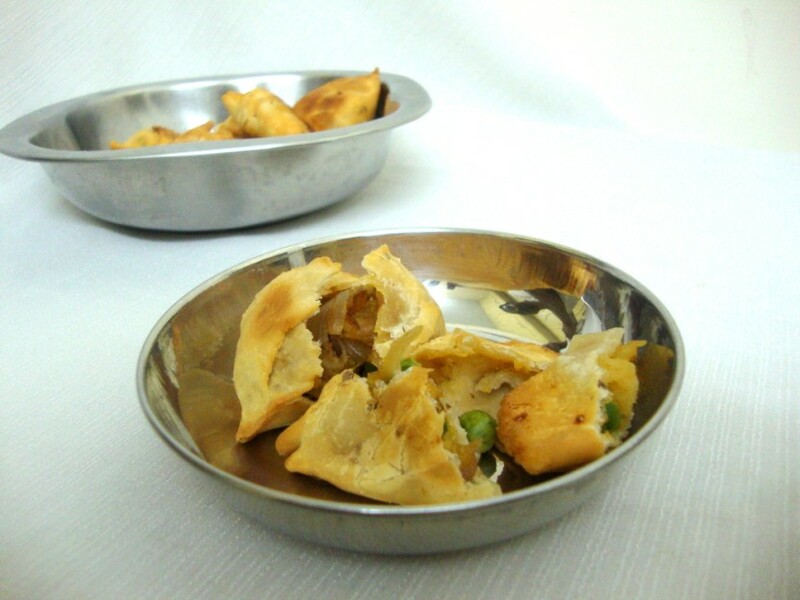 In a serving bowl, take the samosas, roughly break it but not completely. Pour generously spoons of sweeten curds. Most importantly the chat masala. Of course to make it more colorful you can garnish with coriander leaves and chili powder. It ended up looking very festive! 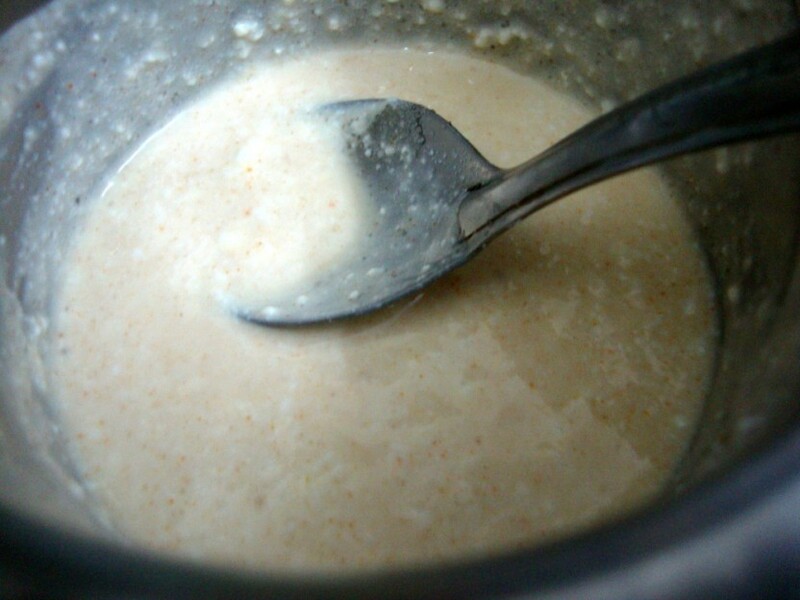 Take all the ingredients needed for making the dough and knead to a stiff dough using very little water. Rest it for 15 mins. Microwave potatoes for 6 mins, peel and mash. 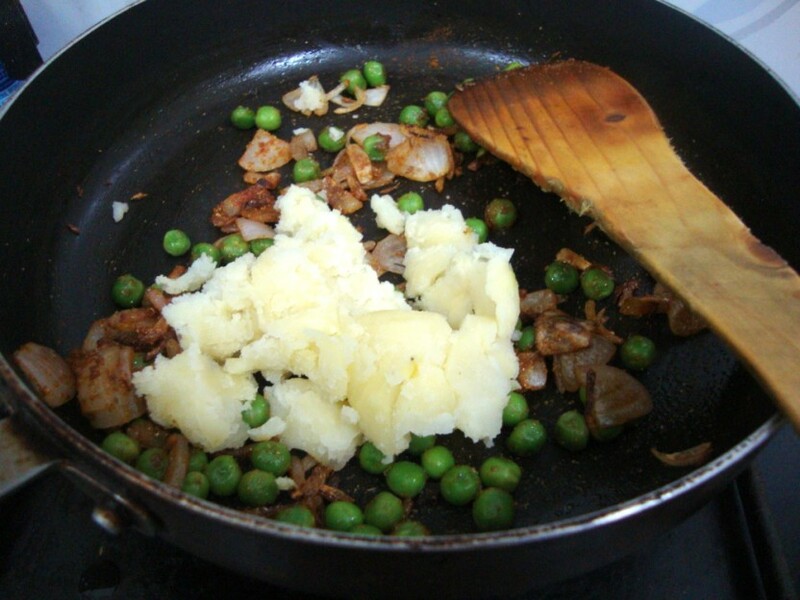 Shell the peas and blanch for 3 mins. Roll out small balls into a circle. Make a vertical cut in the middle. 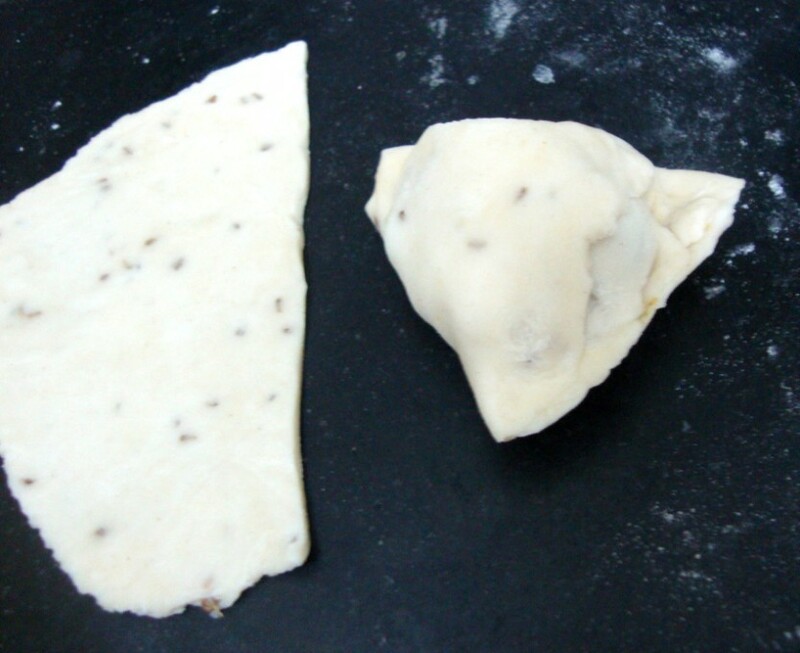 Place a spoon of the filling in the middle, and close it like you will do an envelope. Seal it on all sides properly and deep fry. 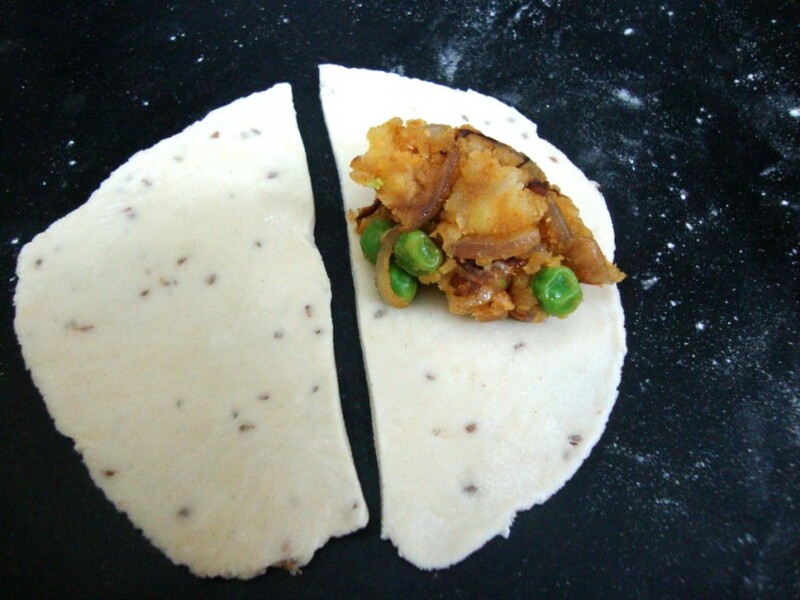 In a serving plate, take the samosas, roughly break it. Pour the curds over it, then the tamarind chutney. Sprinkle the chat masala over this. Then goes the sev, finely chopped coriander leaves and red chili powder. Normally even green chutney gets added to this. But then I didn’t make it. I am simply happy with the results of this, so maybe next time I will try adding green chutney too. this is my favourite..looks yumm..
Wow wow wow!!! You have really made this dish look so delicious!! I am going to bookmark it to try one weekend. Your chats are making my mouth water. 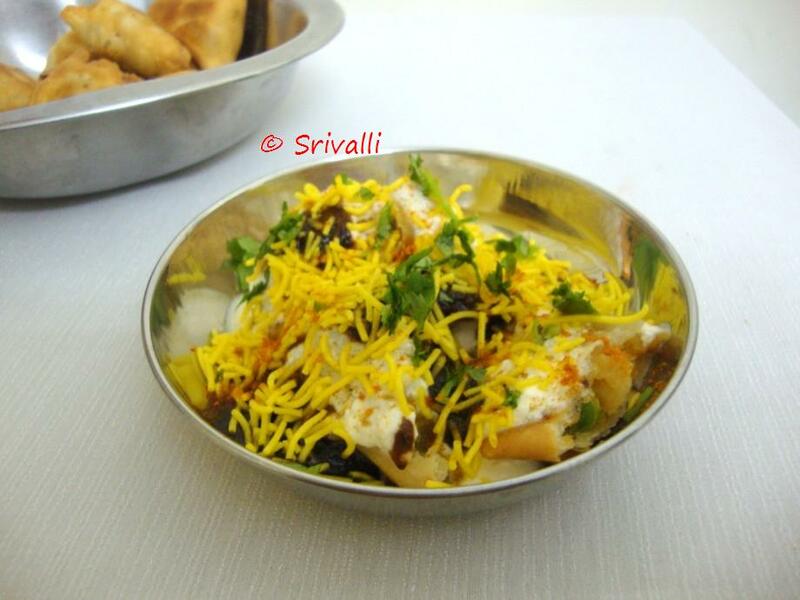 Waiting for more of these delicacies Valli. 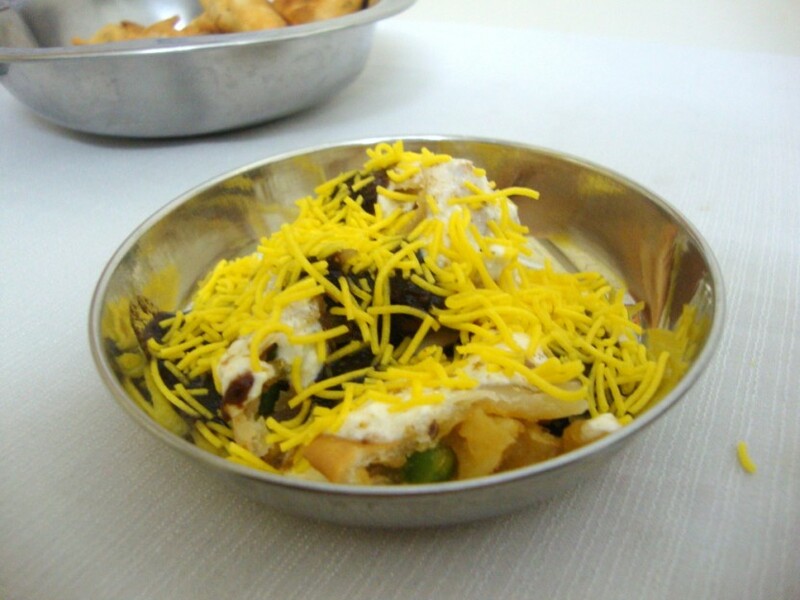 Feast for eyes valli.enjoyed the dahi samosa chaat.Hope u had a good time. another step by step post? 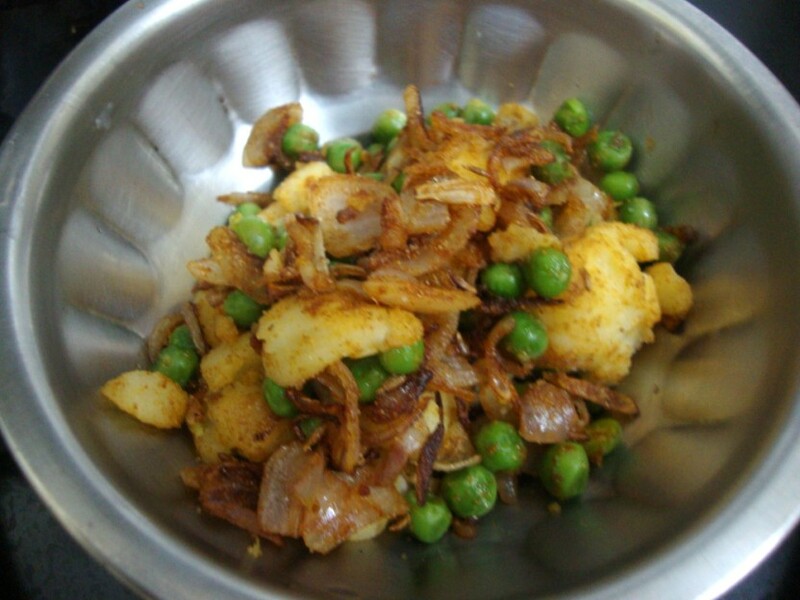 I just made Masala Puri in the evening and this looks great too. I am not a big fan of samosa though. You are killing me with these chaats everyday.. yummy! Street food theme tempting everyone's taste buds & yours chat makes me drool..
Sure looks festive and colorful!! yummy too.. Colorful indeed. 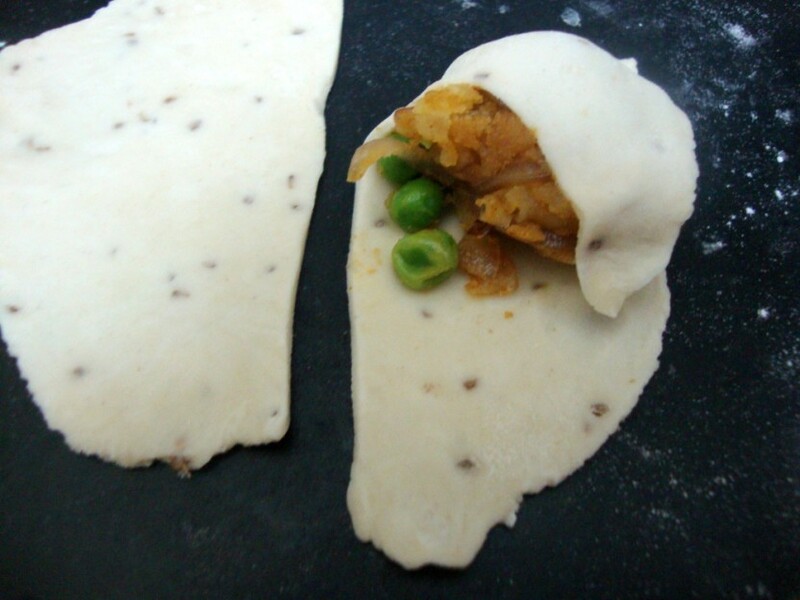 I had made samosa chat a few weeks earlier and did not bother to take pictures. Wish I had. I am hosting Pesto Pasta Night # 201 this week. I would be really happy if you will participate in this event. 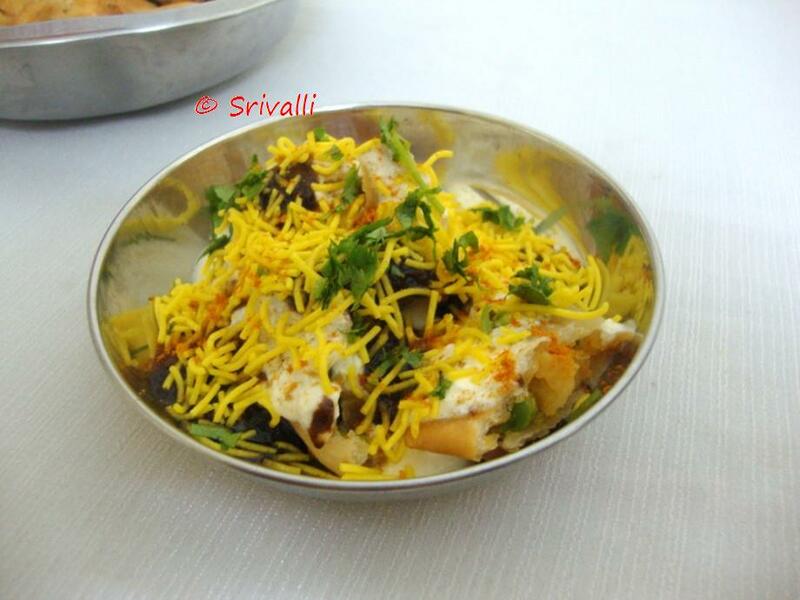 It is such a drool worthy and tempting chaat,looks inviting.. 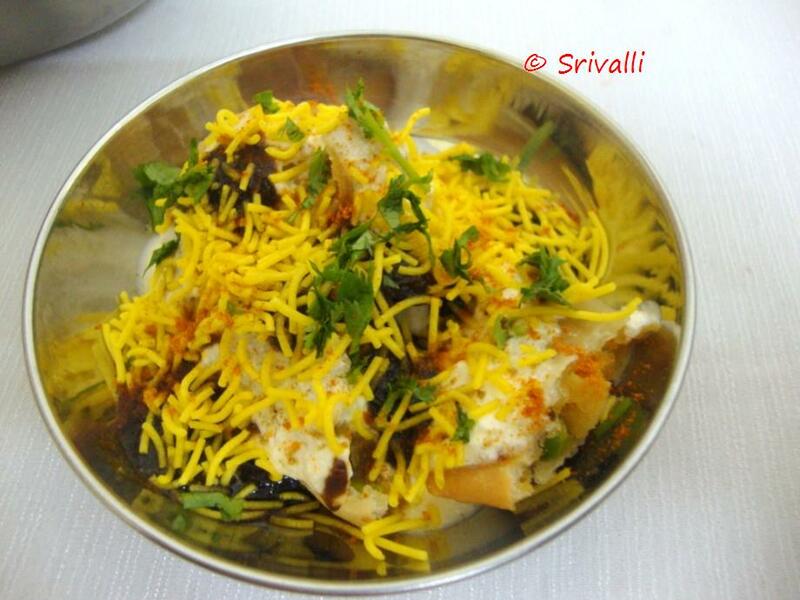 Liked the stepwise presentation..
Wow…….amazing and its looking so tempting and yummy…..
Lovely presentation…the chaat looks so colorful…..
Slurp, those dahi samosa chaat makes me hungry..u r killing me with ur clicks Valli..
wow Srivalli, u r tempting me totally!…wish I was in India right now! again tempting me..ummmm my favorite like thiat step by step pic.Valli. 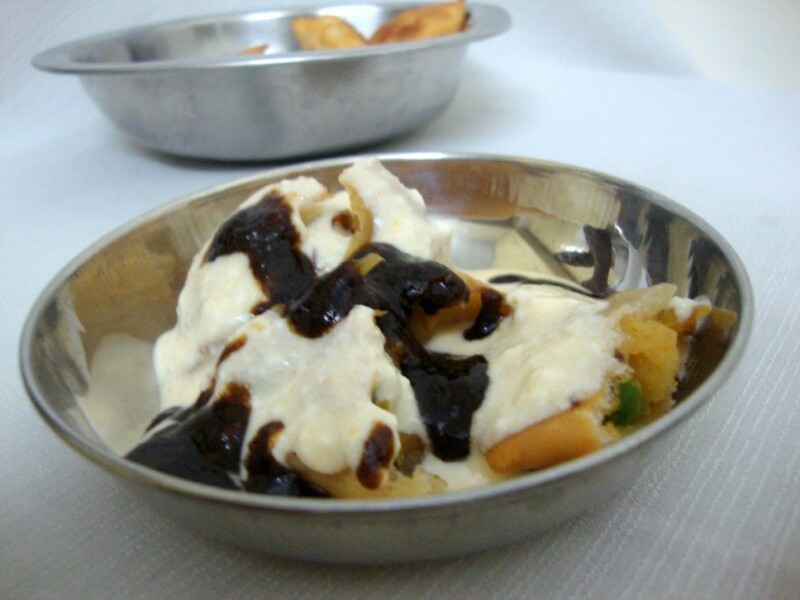 I love dahi based snacks and this is really wanting me to grab that plate of dahi samomsa chaat.Yummy! I have been recently introduced to this dish and love it. Plan to make it soon. Thanks for sharing. Really impressive! 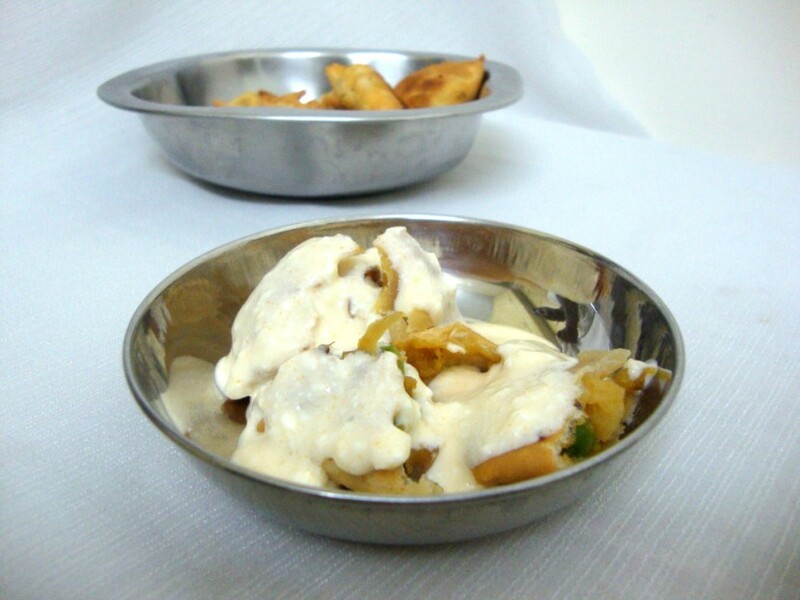 Great steps of making the chaat recipe. I appreciate it.